A powerful, unflinching novel that opens a window on an unknown aspect of a little-known war: the experiences of Chinese POWs held by Americans during the Korean conflict. War Trash, the extraordinary new novel by the National Book Awardwinning author of Waiting, is Ha Jin's most ambitious work to date: a powerful, unflinching story that opens a window on an unknown aspect of a little-known warthe experiences of Chinese POWs held by Americans during the Korean conflictand paints an intimate portrait of conformity and dissent against a sweeping canvas of confrontation. Set in 195153, War Trash takes the form of the memoir of Yu Yuan, a young Chinese army officer, one of a corps of "volunteers" sent by Mao to help shore up the Communist side in Korea. When Yu is captured, his command of English thrusts him into the role of unofficial interpreter in the psychological warfare that defines the POW camp. Taking us behind the barbed wire, Ha Jin draws on true historical accounts to render the complex world the prisoners inhabita world of strict surveillance and complete allegiance to authority. Under the rules of war and the constraints of captivity, every human instinct is called into question, to the point that what it means to be human comes to occupy the foremost position in every prisoner's mind. As Yu and his fellow captives struggle to create some sense of community while remaining watchful of the deceptions inherent in every exchange, only the idea of home can begin to hold out the promise that they might return to their former selves. But by the end of this unforgettable novelan astonishing addition to the literature of war that echoes classics like Dostoevsky's Memoirs from the House of the Dead and the works of Siegfried Sassoon and Wilfred Owenthe very concept of home will be more profoundly altered than they can even begin to imagine. Before the Communists came to power in 1949, I was a sophomore at the Huangpu Military Academy, majoring in political education. The school, at that time based in Chengdu, the capital of Szechuan Province, had played a vital part in the Nationalist regime. Chiang Kai-shek had once been its principal, and many of his generals had graduated from it. In some ways, the role of the Huangpu in the Nationalist army was like that of West Point in the American military. When Yu Yuan, a seventy-three-year-old Chinese man, visits his son and grandchildren in America he writes a memoir to leave as a legacy for them. War Trash is that memoir: it describes the time he spent as a Communist "volunteer" soldier in the Korean War. He assumed he would be fending off American and South Korean attacks on the Manchurian border, but he ends up crossing the Yalu River, suffering starvation and exposure in an under-supplied army, being gravely wounded by an American grenade, and then being captured and held in POW camps in South Korea. The story is told with few frills; the descriptions are stark but immensely compelling; and the narrator's voice made more authentic by being sometimes less than eloquent and at other times bursting with raw emotion. The seamless, somewhat unsettling fusion of invention and reportage is aided and abetted by the fact that Ha Jin taps into two ancient and honorable Western literary traditions -- the novel in the form of a nonfiction memoir, and the nonfiction memoir as prison narrative.... It's a brilliant and original enjambment, and Ha Jin pulls it off with mastery; the result is that his narrator, Yu Yuan, is one of the most fully realized characters to emerge from the fictional world in years. The war trash of this hypnotic novel are Chinese soldiers who were taken prisoner by U.N. forces -- mainly American -- during the Korean War. Written in the modest, uninflected prose of a soldier's letter home, Ha Jin's story, a mixture of authentic historical detail and realistic invention, is a powerful work of the imagination whose psychic territory is not the hunger and humiliation of the prison camp but the haunted past that was the old, lost China and the mysterious future that is in the process of becoming Mao Zedong's chimerical new China. Another brilliant installment in Ha Jin's history of modern China (The Crazed, 2002, etc. ), written with his usual understatement and clarity. Jin applies his steady gaze and stripped-bare storytelling to the violence and horrifying political uncertainty of the Korean War in this brave, complex and politically timely work...It is one of the enduring frustrations of Jin's work that powerful passages of description are interspersed with somewhat wooden dialogue, but the force of this story, painted with starkly melancholy longing, pulls the reader inexorably along. Ha Jin, the author most recently of The Crazed (2002), has made exposing hidden facets of China's recent past his calling, and in this tour de force, he illuminates historical events that are as timely as they are shocking....Ha Jin's taut drama of war, incarceration, coercion, and survival is galvanizing, and his ardently observant narrator is heroic in his grappling with the paradox of humankind's savagery and hunger for the divine. I am enthralled by Ha Jin's work he always presents moral conundrums within historical contexts; the frayed edges of humanity; the ways in which both the tenacious and hopeless survive. He is one of our most gifted and essential writers. This is more than a novel. It's an historical document about a forgotten part of a forgotten war. No historian could bring to light this tale of interminable loneliness and suffering about Chinese prisoners during the Korean War as well as Ha Jin has. Ha Jin is one of the finest writers in America subtle, huge-hearted, possessed of an utterly original, mind-altering vision of the world, and an exquisite, disciplined style. His work never fails to thrill me, and expand my ideas about life, and about the transformative powers of fiction. 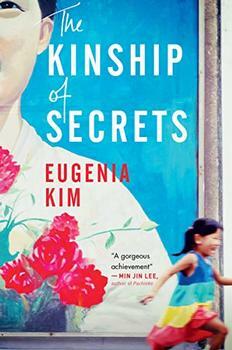 Ha Jin's historical novel about Chinese prisoners held during the Korean War couldn't be more topical. In telling this story from the loser's perspective, he has called upon all of his wonderful and impressive skills as a writer. He never shies away from the degradation of the prisoners, while at the time revealing small humanities that happen in even the most desperate of circumstances. Ha Jin's stark, evocative prose transports us to a harrowing world we have never before seen and which we will not soon forget. Ha Jin is emerging as a major figure in the literary interpretation of life in Communist China. War Trash shows how Chinese men trapped in POW camps in Korea endured cruelty, manipulation, and mind-boggling turns of fate. Still, under Ha Jin's steady moral vision, their humanity, sympathy, and rationality remain apparent. In the end, the trampled ‘trash' uplifts the reader. 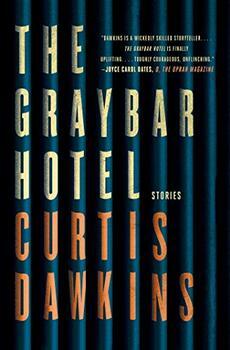 In this stunning debut collection, Curtis Dawkins, an MFA graduate and convicted murderer serving life without parole, takes us inside the worlds of prison and prisoners with stories that dazzle with their humor and insight, even as they describe a harsh and barren existence.